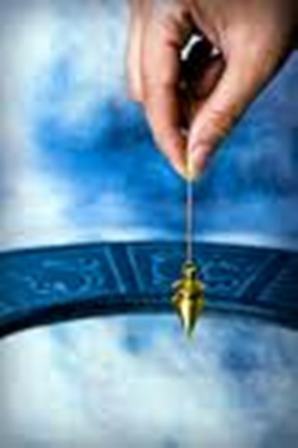 The pendulum, whether an elaborately carved piece of crystal on a chain or a ring on a piece of string, is one of the easiest ways to tuning into the intuitive powers we all possess but may find hard to trust. Learn basic insight into pendulums and how to make them work for you. You will learn to determine vitamin and mineral requirements; find out what food suits you best; tap your intuitive and psychic powers; use it in assessment for alternative therapies – and much more. The pendulum is so simple, yet so versatile. Come to this workshop and open a new world of discovery. Not only is it recommended for those who have not used the pendulum before, and would like to learn, but this workshop will also be beneficial to those interested in the field of psychic development in general. No experience required, just an open mind and heart! The $40 fee includes a pendulum that you choose and keep! ($25 value), Pendulum charts, and handouts. TBA – Contact us if you are interested in us scheduling the class! (This consultation includes your unique essence mixture made for you) These Essences are a great support in helping compose one’s emotional states. They are wonderful and helpful when taken to assist with all major life changes as well as for everyday stresses in life. They are also a blessing for Pets, Plants, and large animals. What are the Bach® Flower Essences? There are 38 Essences for specific emotional and mental states, plus a 39th, the Rescue Remedy, a composite of 5 remedies designed for emergencies. 37 of the 38 are based on single wild flowers and tree blossoms, all growing naturally in the British Isles, apart from Vine, Olive and Cerato. The exception Rock Water is made from water from a natural spring with healing properties, near Mount Vernon, England. Bach® Flower Essences, like other forms of natural medicine, take effect through treating the individual, not disease, or the symptoms of disease. They are not prescribed to cure physical illness or disease. 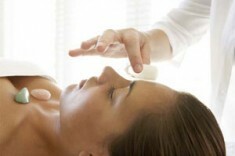 They work specifically on the emotional/spiritual conditions of the person concerned. The Essences do not interfere with any forms of medical intervention, and can be taken in addition to all other forms of treatment. 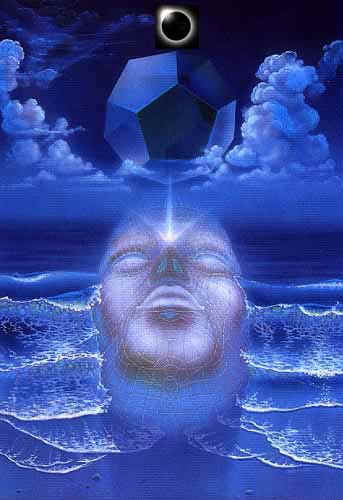 The realization of the Divinity within us, and our consequent knowledge that we have the ability to overcome all harm. The knowledge that disease is due to disharmony between our personality and our soul. Our desire and ability to discover the fault that is causing the conflict. The removal of that fault by our developing the opposite virtue”. Two people, for example, with arthritis, may benefit from quite different essences. One may be resigned to their illness, while the other may be impatient with it, so different essences will be appropriate to each person. Each flower used has a specific, emotionally healing effect. They raise our very natures and bring us peace and they relieve our sufferings. People do not have to be physically ill to benefit from the Essences. Many of us go through times of difficulty and fatigue when negativity creeps in; at these times the Essences are invaluable in restoring the balance before physical symptoms appear. No. The Bach Essences are very effective with our babies, pets, and other animals, as well as helping people with little faith who try them as a last resort. Plants also benefit from the essences; gardeners find that they help plants to flourish when re-potting or when moved. 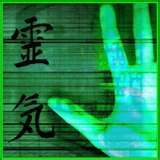 Using the Essences for established problems, the Essences have no adverse side effects. 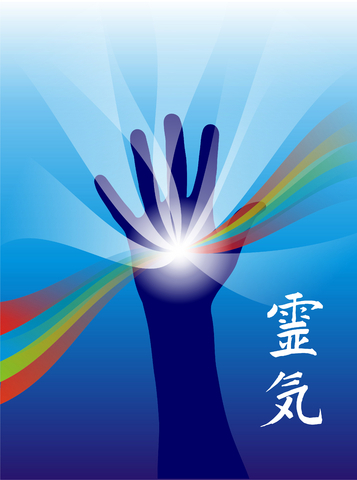 Reiki Level 1, 2, 3 & Master classes are offered throughout the year for Adults and Children. Please contact us or check our Upcoming Classes & Events Listings for details. The kids have spoken – they want a Crystal Class too! 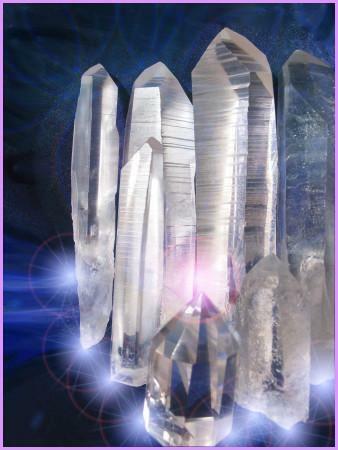 Does your child/grandchild have an interest in Crystals? Would they like to learn more about them, and meet other kids like them? They will walk away inspired, excited and open to new experiences with the mineral kingdom! $25 per child – includes a tumbled stone of their choice and Crystal Kids book! Offered every several months – See upcoming events or contact us with interest! 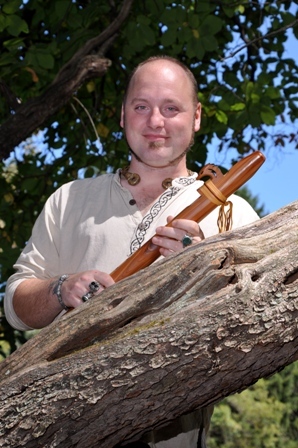 Learn to play the Native American Flute for Healing and Inner Peace! 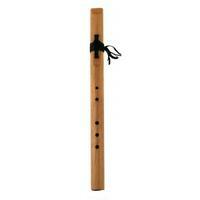 The Native American flute has been reported to be the third oldest known musical instrument in the world. Have you ever wanted to learn to play? This is your opportunity to learn an instrument with which anyone can easily create beautiful music. This class can give you skills in playing music that can soothe the heart & soul and inspire your personal creativity. 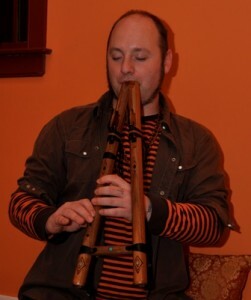 Playing the flute can help to make you aware of your breathing and assist in meditation. Ian will teach you finger placement, various ways to use your breath, and will work with you to find your personal style and feeling. He will also show you tips and tricks that he has learned over the many years that he has been working with it’s medicine. As this is a hands-on workshop, numbers are strictly kept to a maximum of 6 participants to ensure individual attention. Children are welcome age 11 and up. To secure your space, contact us at least one week before the class. Please bring any special QUARTZ crystals that want to come along to use, a selection will be available at for purchase should you not have any. Please wear comfortable clothing. A journal notebook and a bandana are encouraged as well as any comforts for the floor, such as blankets, pillows, etc. Pre-registration is required for this special event. A community is a special thing. 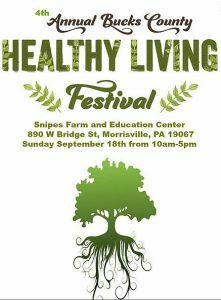 We are lucky to have so many people in this area that share the same interests and goals – come out and meet them! It is our hope to strengthen the bonds that unite us in this area. 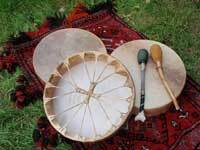 Please join us for an open drum circle where we will make music and have FUN! Please bring ANY instruments you have – drums, rattles, flutes, didges, etc. If you don’t have a drum – even more reason to come! There will be plenty of instruments to share. No reservations required – Hope to see you there! Children of any age are welcome, cherished, and loved – please bring them so they can participate!! 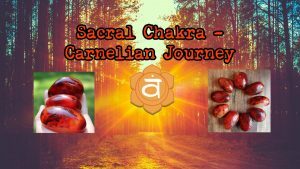 Beginning with the Root and moving up to the Crown Chakra, each Friday we will journey with a beautiful crystal suited to that particular energy center. 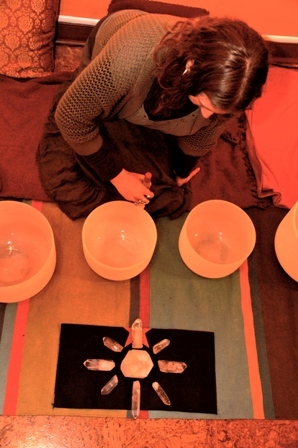 We will use the healing power of crystal singing bowls, Himalayan bowls, gongs, Native American flutes, Monochords, and more to bring you to a place of deep meditation and healing. Friday, September 16th: Discover the foundation of your temple and ways to find your anchor. Friday, October 21st: Dive into the waters and emotions freeing the flow of dynamic energy that is essential for transformation. Friday, November 18th: Dissolve the illusion of separateness and the needs of the ego. Friday, December 16th: Open your heart to give and receive love, and feel a sense of wholeness with others and ourselves. Friday, January 20th: Allow your voice to be your truth. Friday, February 17th : In peeling away our illusions and external perceptions, we open up to our psychic abilities. Friday, March 17th: We close with the bridge to remembering that the Divine exists in us and in all things. Please bring along what comforts (such as a yoga mat, blanket, and pillow) you will need for the floor. Space is strictly limited to 25 participants. The thought that goes through my head during a session with Val & Ian is “these two really know what they’re doing”! Between the chakra, crystal, & instrument education and the guided meditation with sound, the session is everything you want it to be! 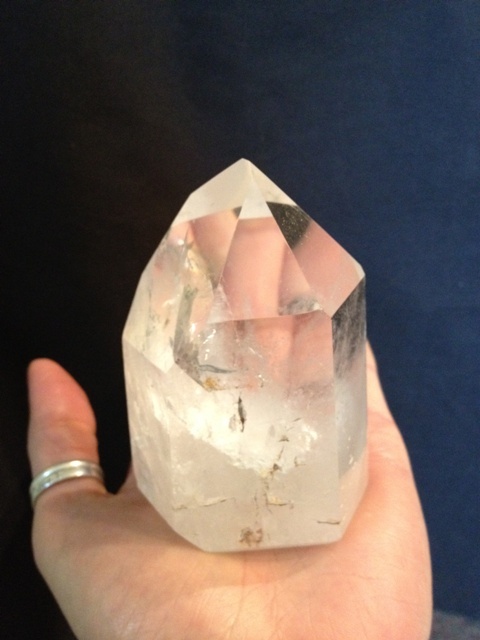 Then you are sent on your way with a perfect crystal specimen! Val & Ian exude such harmony and are well suited to practice their chosen modalities. 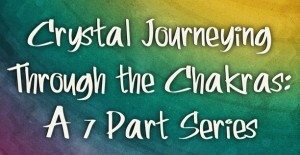 I am so grateful to have experienced the 7- Part Chakra Journey. It has made my life so much more peaceful and relaxing. I am also happy that my husband experienced a few journeys with me. It has made us closer. I was told by a friend before I started the series that I would love working with Val and Ian, and she was 110% correct. The experience they create with their unique gifts allows for profound insights and healing on so many levels. I am so very grateful I gave myself the gift of the whole series. This was an awesome experience, the journey took me to places that I didn’t know existed in my own life. 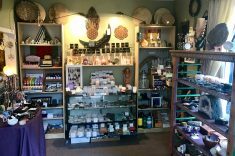 Upon entering the studio for our first in the series of meditations for the Crystal Journeying through the Chakras, it was readily apparent to me that Val and Ian have incredible gifts to share with the world. Their beautiful bond as partners is enhanced by their deep and thorough connection to the musical instruments and the crystals that surrounded them both. I have meditated for a long time, yet the magic that happens with Val’s beautifully crafted guided meditations and Ian’s immense gifts for the musical instruments that create sounds to carry us all deeply within to our own Spirit selves is truly a one of a kind experience. Except you get to experience this for all of the seven chakras! Their profound knowledge of the various crystals was a way for us to deepen our own knowledge, as we all received our own crystals for all of the seven chakras! Thank you, Thank you, Thank you! May you know ease and grace as you continue to be Lightworkers guiding us all to find our own Divine Spark within! Overall, this was an awesome ritual and a great way for me to honor me. I would definately reccommend this series classes. I have definately felt a difference and a “balance” in my being. I know before the class a few of my chakras were blocked and my pendulum now says otherwise. 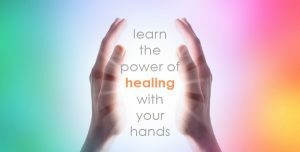 My personal healing journey continues and it is a wonderful feeling!!! My experience with this journey has helped me to feel better about myself and the ability to cope with things in my life in a more positive way. Thank You!!!! This has been an amazing experience and was able to do the series with my husband. 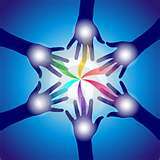 Individually great healing and openings have occurred , but also on a partnership level we have encountered blockages and moved thru them . Definitely would recommend to anyone looking for spiritual growth. I would like to do to the series again!